Home › Valley of flowers › Valley of Flowers reopenes in 2014 itself. Valley of Flowers is open now. 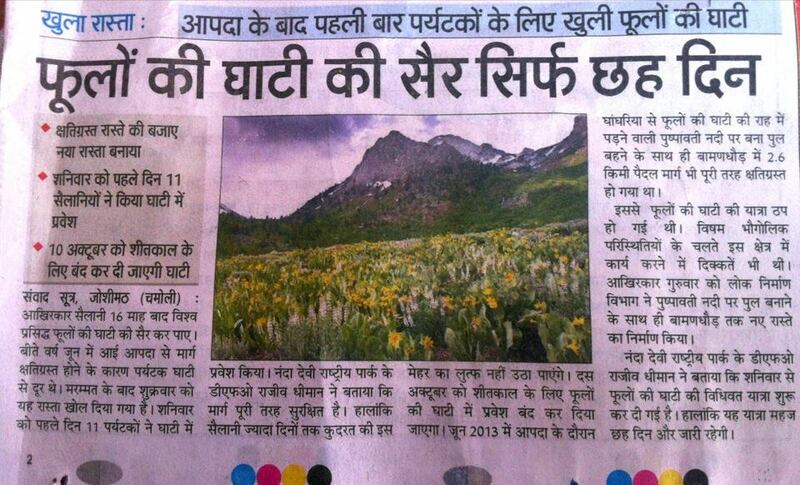 Valley of Flowers reopenes in 2014 itself. Valley of Flowers is open now. Valley will open in 2015 surely it is opened for public in 2014 for 6 days in October. Valley of Flowers was reopened to public on 4th October, 2014 after the completion of construction of 2.6 km of trek between Ghangaria and Valley of Flowers. Valley of Flowers will remain open only up to 10th October, 2014 after that it will be closed. The news is important for the trek to Valley of Flowers in 2015. People who are willing to visit Valley of Flowers in 2015 can plan their visit safely now. Valley of Flowers was closed after the floods in June, 2013. Ghangaria became accessible in 2013 itself but the valley remained inaccessible as 2.6 km trek was washed off in flood. 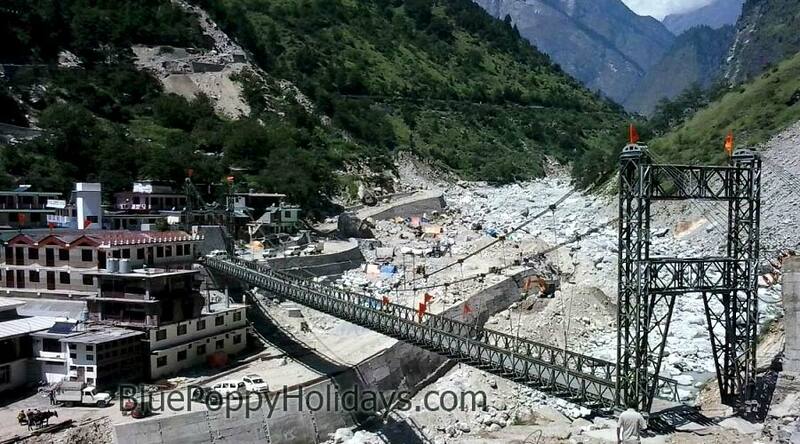 Generally Public works department of state of Uttarakhand was responsible for the maintenance of trek but the damage was so large that the trek could not have been made from the same route. The new trek has to be rerouted and the land belongs to forest department. The construction work could not be started till early September, 2014 as the forest department did not get any grant from Government of India. 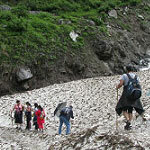 We were in constant touch with PWD officials till May, 2014 and they were assuring that the valley will open by June this year but after a joint survey by PWD and forest officials along with District Magistrate, Chamoli District in first week of June it was decided that the trek will be laid by forest department only. Forest department got the budget only in first week of September. The construction of the new trek was given on contract to locals and they did a great job in completing the total work in just 20 days. We are still awaiting the latest pictures of the newly constructed trek from our connections in Ghangaria. The new trek is almost one km longer than the old trek and bit tougher also as you need to climb more and come down again to reach the heaven. Bridge over Alaknanda at Govindghat has also been constructed. This is a motor-able bridge authorities are constructing road from Govindghat to Pula, it will reduce the total trek from Govindghat to Ghangaria by 3 km once the road is completed. Bridge at Govindgha on Alaknanda Construction completed in early September. 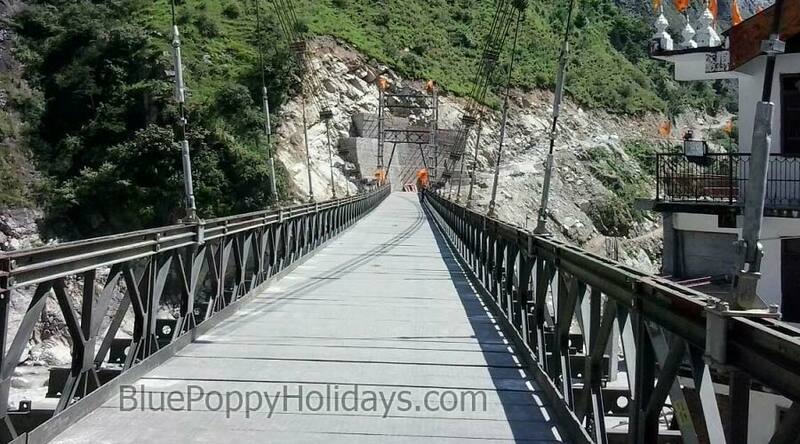 Bridge at Govindgha on Alaknanda Construction completed in early September. This is motor-able bridge. The departures of 2015 are announced, if you are interested you can book early, we are giving discounts now. I read your articles on Valley of Flowers and they are very informative. please suggest the itenary and the related details on the plan to visit Valley of Flowers and hemkund sahib for group of three girls. Is it possible to book hotel room where all three can stay together. Are there any other places around if we stay a day or two longer? We have sent you a detailed itinerary for the trip. 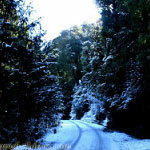 The other destination which are included in the trip are Auli, Badrinath and Mana visit. Yes, it is possible to take hotel rooms at triple share basis. Im interested to travel to Valley of Flowers this as a solo tripping. Would please suggest the itenary and the related details on the plan. Looking forward to join your group on a trip to Valley of Flowers. Hi, We would like to visit Valley of Flowers in August 15th to 17th. We are family of 4 members. Kindly guide us the possible itinerary. Please provide your budget from Rishikes or form Haridwar return journey. We may require pony so please inform charges. This should include accommodation ( all options camp and hotel etc.) ,meal and all transport . Thanks. A detailed mail has been sent to you regarding the itinerary. 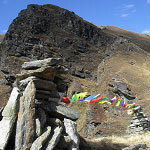 To know pony and porter charges kindly visit this Trek Information link. Please let me know if it is feasible to trek Valley of Flowers on 8th july 2015 . I saw bookings open . please let me know the itenary and budget detials . i will be reaching dehradun on 8th july 2015. I heard that there are landslides in the region. Is it still safe to visit the valley . I am planning around July 25. Everything is fine as per now. Definitely you can visit Valley of Flowers around that time. 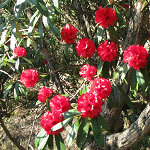 Hi, we are planning Valley of Flowers in 20th Sept week. there are 4 adults and 2 children of 8 years each. can you please share an itanary for the trip. Also, will it be safe for the kids to trek. Hey, I just wanted to clear my confusion, it says trek to Valley of Flowers from 19 to 25 July will remain closed. So is it just your travelling company that won’t take a trip or will the park remain closed at that time? If “closed” is written in front of a departure it means all the spaces are full in that departure. 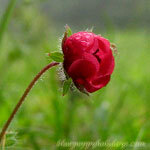 I would like to know which is the best time to trek for Valley of Flowers , in which month flowers will blossom fully? I heard that after floods public is not allowed into the park, last ear they have allowed it for 6 days, what about this year (2015). I am planning to visit Valley of Flowers in Aug Starting. I have a few questions. I will be glad if you help me. 1) Options of Shared Taxi/Bus transport from Rishikesh? Its departure & arrival timings? Whether any advance booking required or from where to book those transports? I will reach Rishikes one day before. 2) Give me some advice about precautions to be taken to deal with sudden Landslides & availability of ATMs in those areas. 3) Should I carry Rain Coats? Please advise me too about how much winter wears should I take. 4) Any key advice that I should know. A detailed mail sent to you. Is October(any time between 10th oct to 20th oct) an ideal time to visit Valley of Flowers ? It will not be a good time as snowfall starts in the month of October and the Valley is closed for general public. Valley of Flowers will be snow capped again and all the plants will shed seeds and seeds will be preserved under snow to germinate again in next season when snow starts melting in May. I’m planning to visit Valley of Flowers on 4th of sept…kindly tell me is it open….with detailed itinerary….we are family of 4…. Including 2 kids..
A detailed mail has been sent to you regarding itinerary and costing. And yes the Valley of Flowers is opened. Yes the Valley of Flowers is opened. A detailed mail has been sent to you regarding itinerary and costing. We are a group of 4 friends planning to tour the Valley of Flowers aroung July 21 2015 . We would like to visit the sacred Badrinath temple on return from the valley . kindly send the itinerary for the tour . Detailed mail has been sent to you. We are planning to visit the Valley if Flowers around July end this year.Just wanted to check if there has been any damage to it because of the recent series of earthquakes.I also noticed that all your treks around that time are full. So would it be possible to go on this trek on our own? We are a group of four reasonably fit guys-all around 26-27 years of age. There is no damage to Valley of Flowers due to recent earthquakes. You can go definitely for the end of July. A detailed mail has been sent to you. Hi.interested in visiting during late July to early august ..mostly interested in flowers..
A detailed itinerary has been sent to you. Kindly check and revert accordingly. 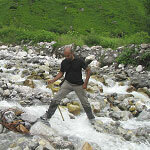 We are planning to visit Hemkund Saab and Valley of Flowers in June first or Second week. So please suggest me is it good time to visit there and plz provide me the detailed itinerary and costing. As per now we are only 2 members. June first week is a not the peak season for flowers in the valley but you will find lot of snow at Hemkund Sahib. You can join in our fixed departure tours starting from June 28. 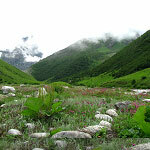 We want to go Valley of Flowers and Hemkund Sahib during May end or June 1st week to avoid the rainy season. Let me know is it ok? also let me know the details of cost itinerary as we are budget traveler. Valley of Flowers will open on June 1st, 2015. So there is no question of doing it at the end of May. There will be very less number of flowers in Valley of Flowers and you will see the last 3 km to trek to Hemkund Sahib full of snow. The decision is to be taken by you whether you want to see flowers or snow. For a budget travel you can take public transport and follow our itinerary. You may get rooms at Ghangaria after reaching there as well. If you want to book it in advance we can also help you. You can contact us on our phone number also. Sir we are a group of 10 people. We are planning in the 3rd week of July. Sir can you please give me the detailed iternary along with cost per person. July second week is a good time to visit the Valley of Flowers. We have sent you a detailed mail about itinerary and cost. We are planning to visit Valley of Flowers and Hemkund in Aug 2015. Can you please send us the detailed itinerary, costs and dates of departure for Aug? A detailed mail regarding itinerary and costing has been sent to you. To know what will be the best time to visit Valley of Flowers kindly follow this http://www.valleyofflowers.info/best-time-to-visit-valley-of-flowers/ link. Pls send me details. We are group of 5, all above 50 years. Detailed mail has been sent to you. For group discount kindly contact on +91 9050042759. We are a group pf 8-10 & we are bird photographers & Nature landscape photographers. Can you send us detailed itinerary & cost for two days at Valley of Flowers& pointers to photograph birds. Sorry for delayed response, please check, a detailed mail has been sent to you. 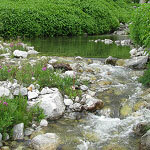 Valley of Flowers is a great place for photographers and nature lovers. Please do check our bird photography page. I learn your program starts from 28th June. Due to my other travel plans, I need to visit Valley of Flowers by 5th May. Can you suggest me if by 5th May do they allow visits to Valley of Flowers. Though this question beyond the scope of your program, hope you won’t mind sharing this information. Valley of Flowers will be opened by 1st June, 2015 on its official opening time. You can visit Valley of Flowers after that only. You have provided very good details of Valley of Flowers. Request to provide the Jul-Sep’15 package details including cost per person. A detailed itinerary has already been sent to you sir when you have filled a form on our website. Plz share the details for a trip to Valley of Flowers for September, 2015. Can u send me the detail mail regarding the trip. I wish to join July or August trip if suits my budget. Please provide details for Valley of Flowers tour starting from 19 July to 25 July or 26 July to 1 August.